ST Engineering’s Q3 profits rose 5.3% YoY from $127.82m to $132.59m, an announcement revealed. Revenue for the firm inched up 1% to $1.63b whilst earnings per share (EPS) grew 5% to $0.432. Meanwhile, the land systems sector’s revenue dropped 10% YoY to $297m. Despite this, the sector’s net profit jumped 45% to $17.6m backed by favourable sales mix. The firm noted that market conditions continued to drag down its marine sector as it posted a 16% drop in revenue to $137m. ST Engineering president and CEO Vincent Cheong noted that Q3’s key highlight is the targeted acquisition of the $868m MRA System from General Electric. The firm’s order book as of September YTD hit $13.3b, of which $1.6b will be delivered in the remaining months of 2018. 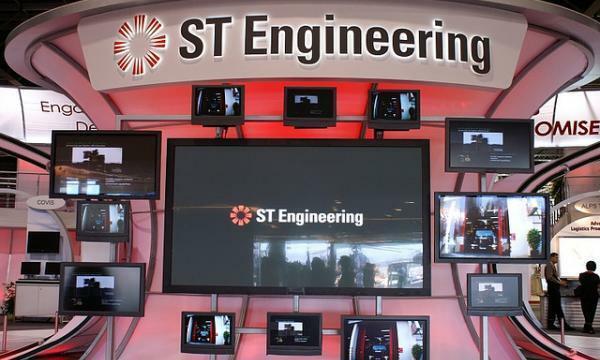 In Q2, ST Engineering's profits jumped 10% to $117.5m whilst revenue dipped 3% to $1.65b.